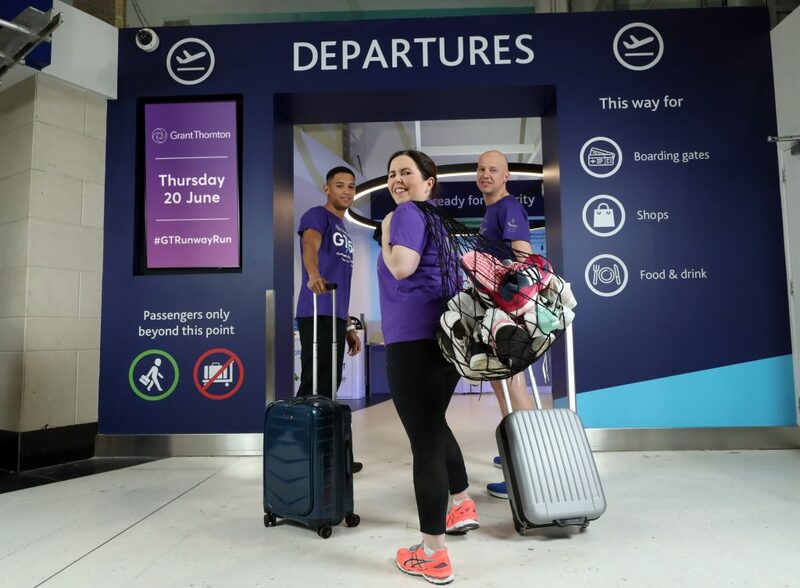 Northern Ireland Commonwealth Games medallist Leon Reid is urging runners to ‘get on board’ for the fifth annual Grant Thornton Runway Run. The 200m sprinter has joined the leading business advisory group as ambassador for the ever-popular 5k race, which is now open for registration, as it returns to the runway at George Best Belfast City Airport on Thursday 20 June. Around 600 runners from businesses across all sectors in Northern Ireland will take to the runway for the night-time race. “When we first launched the Runway Run, it was hailed as a totally unique experience for those taking part and proved to be instantly popular. “Now in its fifth year, there is no sign of the appetite of Northern Ireland’s business community to take part abating and we expect another sell-out in 2019. “Every year the race provides a tremendous opportunity for corporate team building away from the workplace and there is, of course, a competitive element also. “I have no doubt there will once again be great – and friendly – rivalry as firms, be they from the financial, legal, construction or manufacturing industries, battle it out to be the best in their sector. Leon Reid became the first Northern Ireland athlete to win a Commonwealth Games medal in 28 years when he claimed bronze in the 200m race on the Gold Coast last year. His 2019 season will be focused on preparing for the World Athletics Championship in Doha this autumn and qualifying to represent Ireland at the 2020 Tokyo Olympics. “I have heard a lot about the Runway Run and am delighted to finally get an opportunity to witness the event first hand. “Throughout my athletics career, I have run in some very interesting places in all parts of the world, but I’ve certainly never raced on a runway before. The Simon Community has been chosen as charity partner for the event, which is supported by Athletics Northern Ireland. The race forms part of the Grant Thornton 5K Team Corporate Challenge which also features events in Cork, Galway and Dublin. It is open to all businesses and organisations in Northern Ireland, who are invited to enter teams of four in one or more of three categories – male, female and mixed. Prizes will be awarded in each category, with team members’ finishing times combined to determine the winner. Last year, Danske Bank took the prize for the fastest female team, with Ulster Bank claiming the men’s prize and new entrants Towerview Primary School won the fastest mixed team category. To register for the 2019 Grant Thornton Runway Run and to view full terms and conditions, please visit www.grantthornton.ie/gt5k. All updates will also be posted on Grant Thornton’s Twitter account – @GrantThorntonNI – and under #GTRunwayRun.